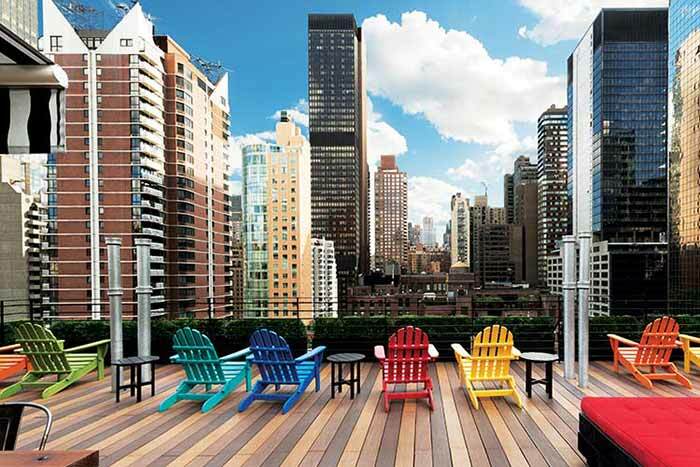 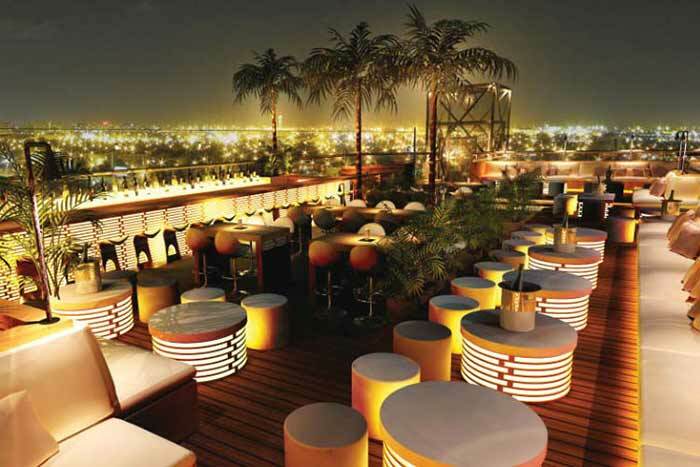 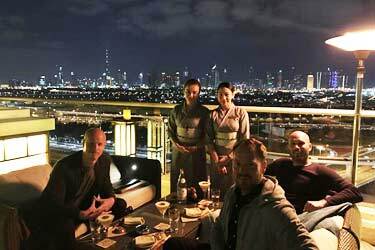 Tomo - which means "longtime friend" - is both a fantastic rooftop bar and a Japanese restaurant of the highest class. 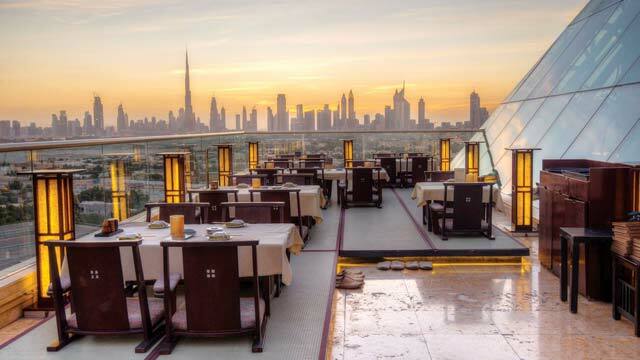 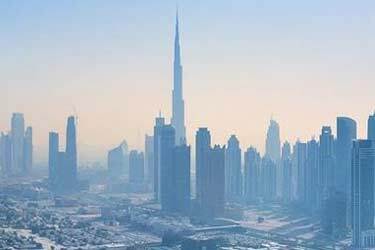 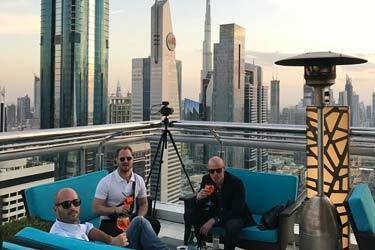 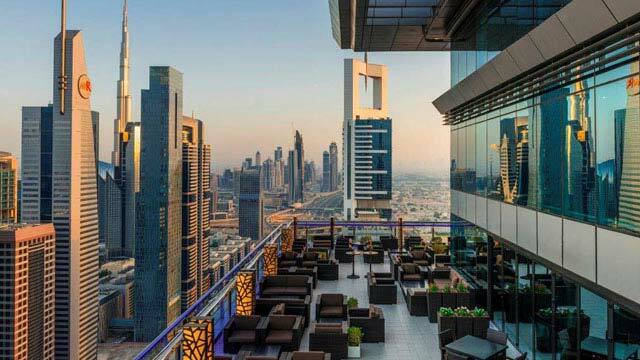 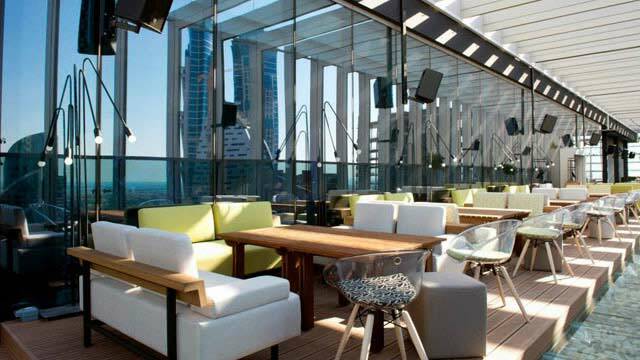 Located at the 17th floor of the suberb five star Raffles Hotel in the older part of Dubai, this is the place to catch the most amazing views of the "new" skyline. 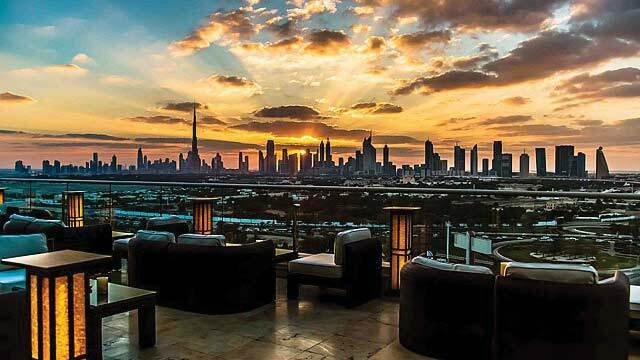 And 'amazing' is almost an understatement, if you manage to catch a sunset from here you are in for a treat of a lifetime. 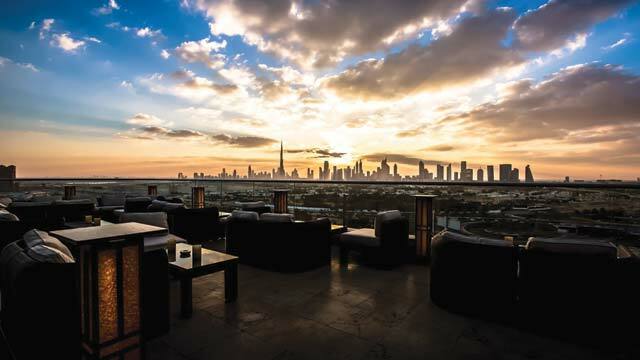 And the quality of views continue in food and drinks, with Tomo Dubai serving some of Dubai's best Japanese food, cooked by the admittedly talented chef Chitoshi Takahashi. 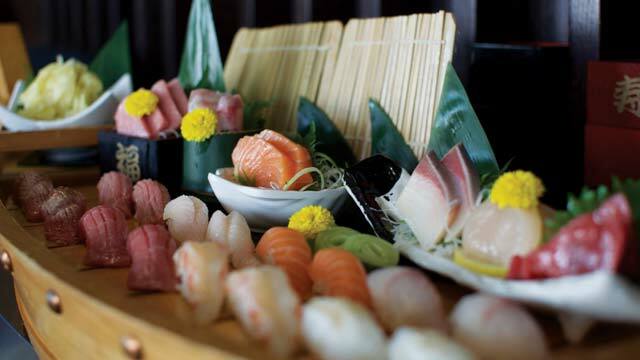 Choose between a large selection of sushi dishes, Waguy Beef and rice/noodle dishes. 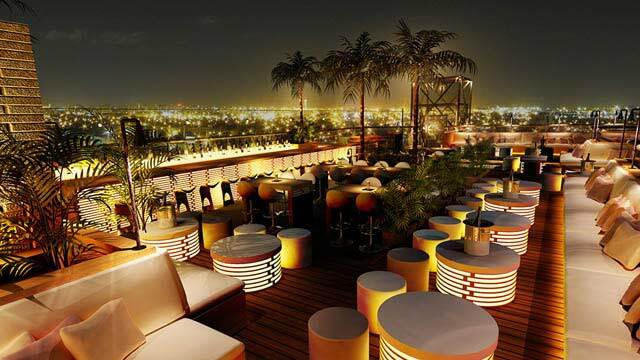 The rooftop bar (of course) also has a Japanese touch, serving a wide variety of Sake and Shochu, along with sophisticated cocktails. 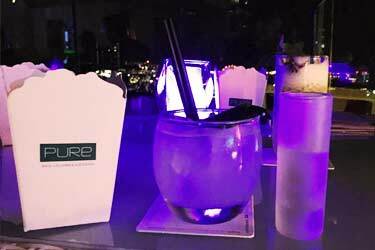 Both food and drinks can be enjoyed either inside or out on the open, airy and very sleek and stylish terrace, with large lounge sofas and beautiful lighting at night. 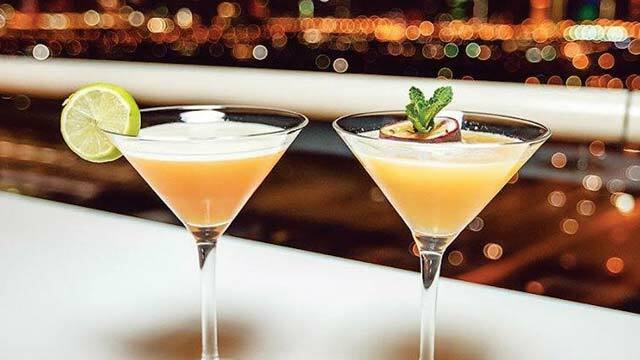 A visit a Tomo comes with a bit of a price tag, but with top class in service, food, drinks and views it is well worth a visit! 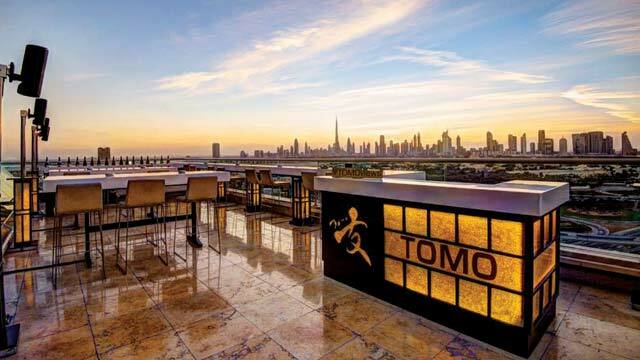 Read more about the fantastic restaurant and food at Tomo. 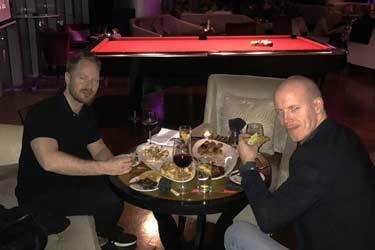 We had a blast here in 2017 and where super happy with the quality of the food, view and service.